Today would be a day to ponder man’s lasting impact. From Roman dynasties to twentieth century abandonment, I would glimpse them all today in 21 short kilometers. 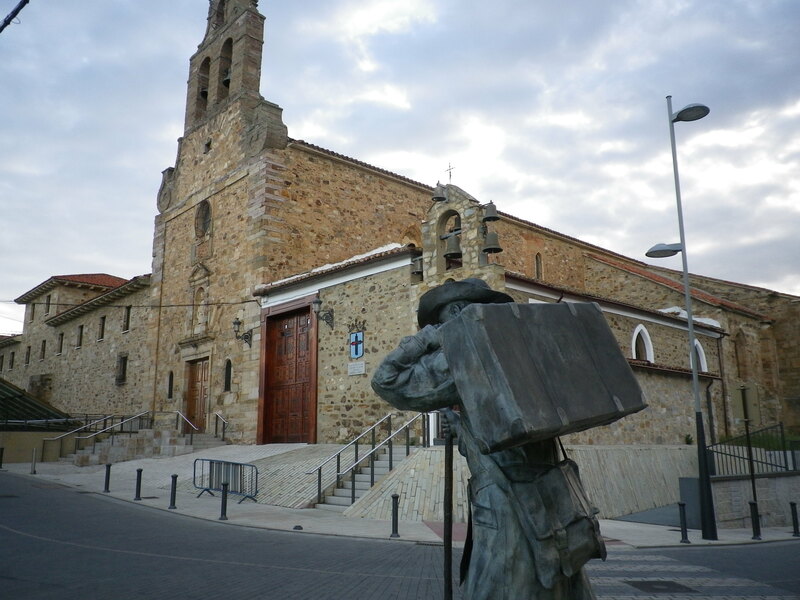 Since I had stopped the night before at the first albergue I had come to in Astorga, I would walk completely through the city this morning as I followed the Camino. I packed easily and, although I was the last to get out of bed, I was not the last to leave. I began to walk. Next to the albergue was the Iglesia San Francisco. 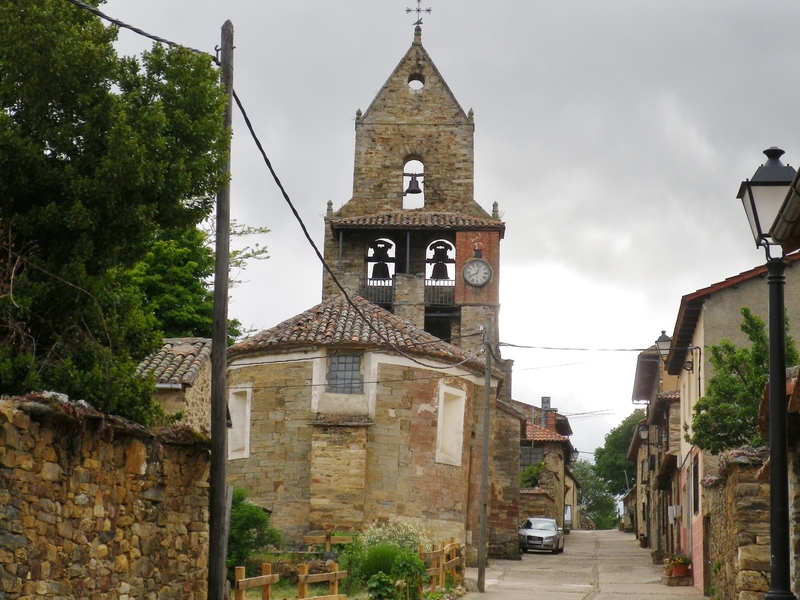 It is believed that Saint Francis stopped here during his pilgrimage to Santiago in 1212. I walked a few steps further slightly uphill. The city was asleep except for the pilgrims on bikes who began to speed by me in the empty streets. A powerful Roman city once covered this hill, making it the most prominent city in the region. 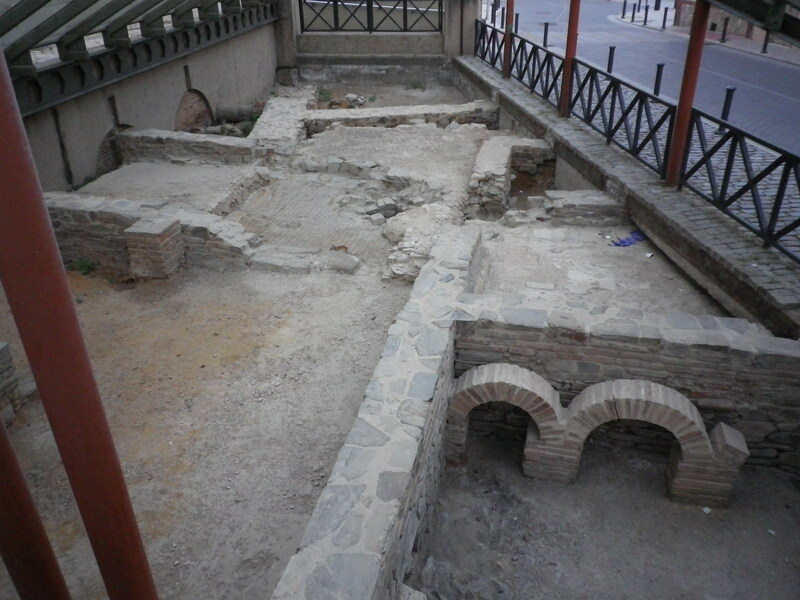 The remains of one of the houses in that Roman city are today carefully protected as a cherished reminder of the past. 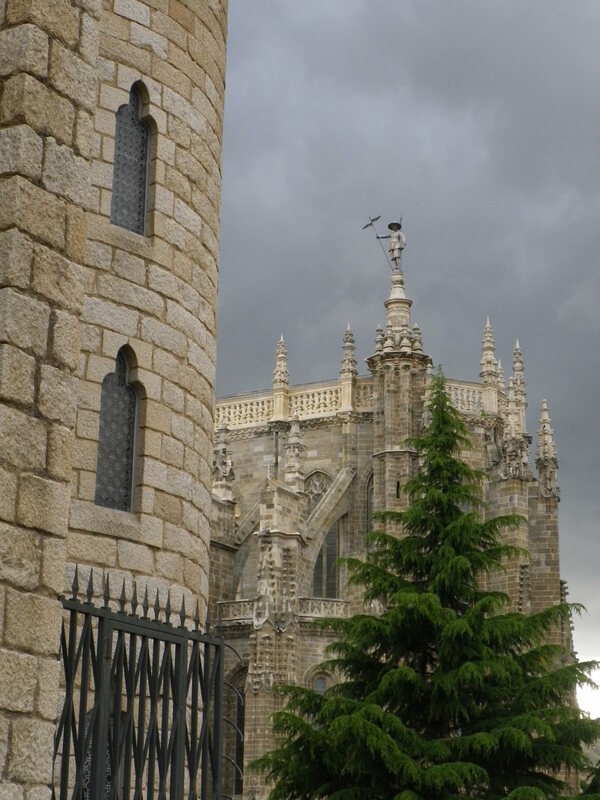 This city was a crossroads where several ancient roads and pilgrim routes intersected. 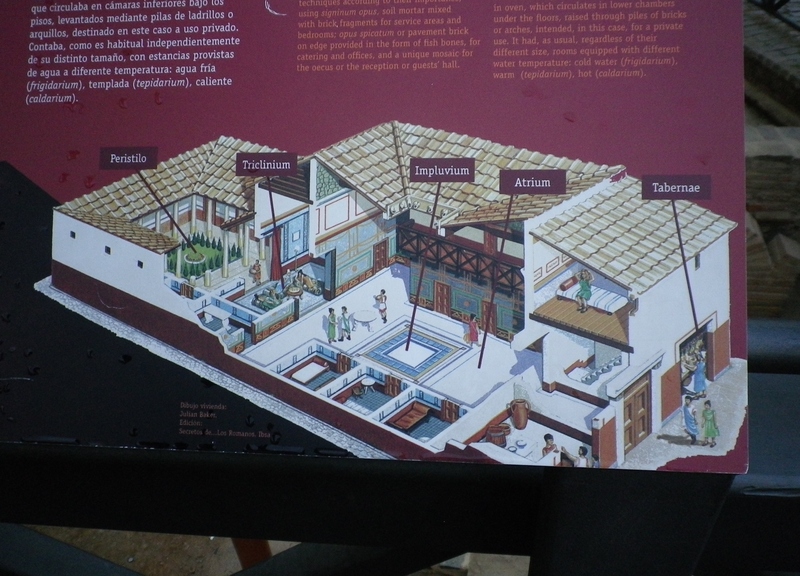 Although not as populous as other major cities on the Camino Frances, its high vantage point made it vibrant as an international marketplace two millenia earlier. The city center houses a delightful clock which, even in the near rain, draws a crowd every hour on the hour. Several blocks further, I passed another landmark. I had had a chance to sample the architecture of Antonio Gaudi during my visit in Leon, but the building there didn’t stand out in my mind as being particularly mind-blowing. 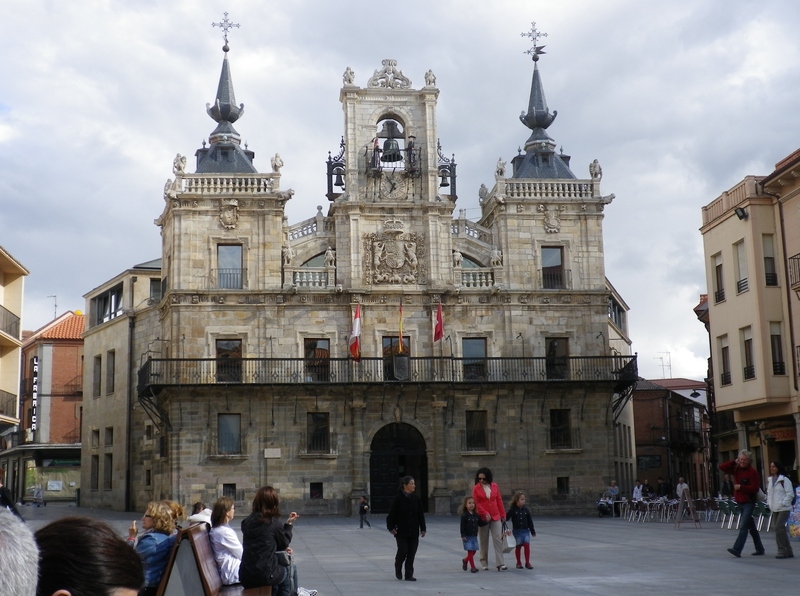 Perhaps that was because, in Leon, it was competing with so many other examples of architectural styles that my untrained eye couldn’t see what I was seeing. 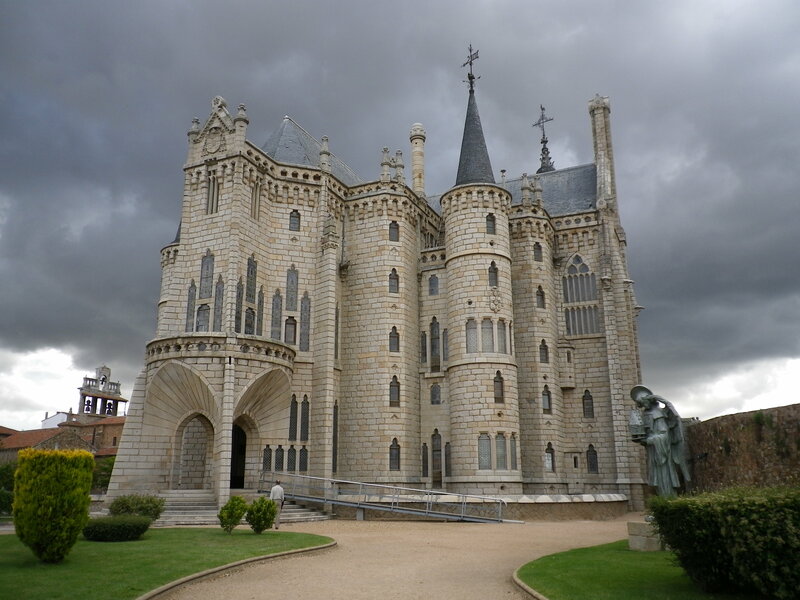 In Astorga, that was not the case. Peeking behind the Gaudi building is the back of the city cathedral, the grand Catedral St. Marta. I would walk pass the ornate front of the cathedral soon on my way out of town. Luckily for me, the city was shut tight as a drum at that hour or I may not have gotten out as early as I did. The Gaudi Palace. The Cathedral. The monasteries. The ancient Roman walls. I’d have dozens of photos. Not to mention a backpack full of chocolate, which the city prides itself on. The road out of Astorga entered the region known as the Maragato. I didn’t experience it as completely as others who had gone before me. Perhaps it was too early in the day? There were no traditional foods to smell or taste, nor costumes to be seen. 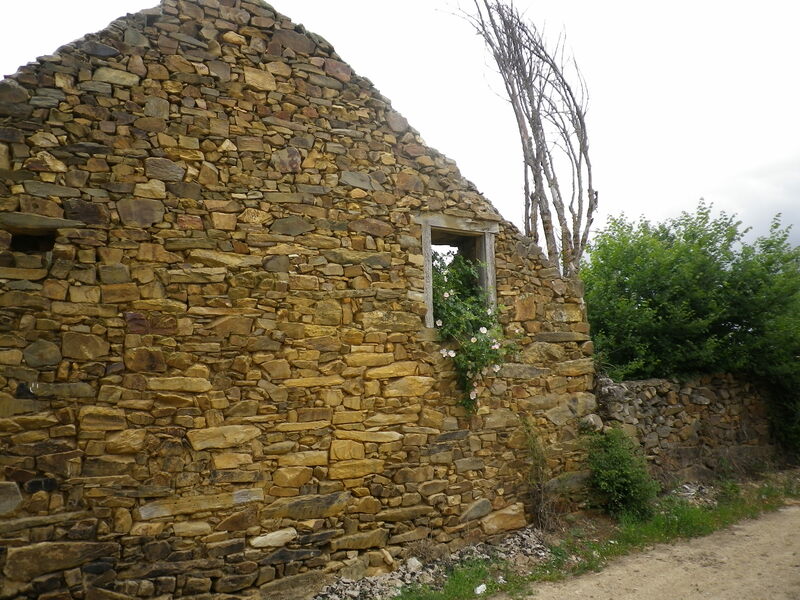 The Camino took me from one rustic village to another. The overcast sky added a touch of gray. I would have enjoyed a morning cafe in such a quiet place but I couldn’t find a bar, open or closed, as I walked through these towns. 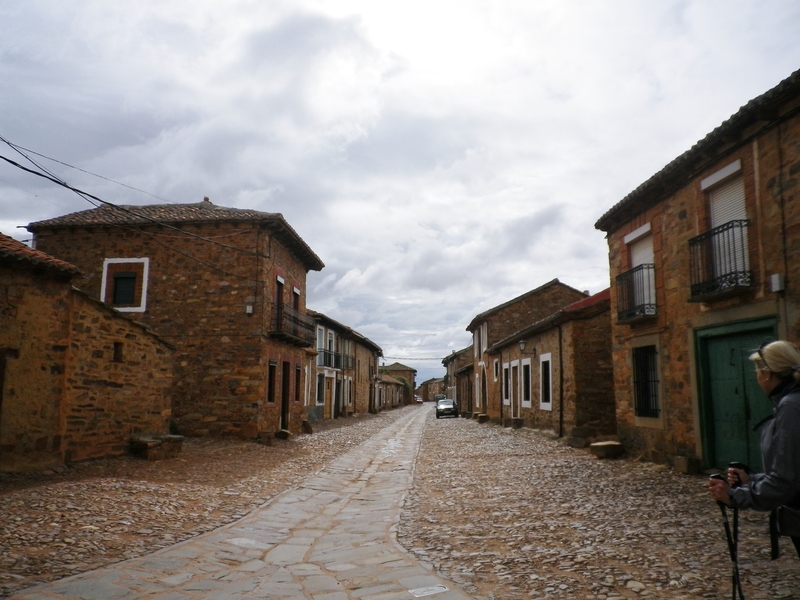 The hospitalero at the albergue in Astorga had suggested that I try the detour through the village of Castrillo de Povagares, which I did. It was very quiet and seemed medieval to me. There were absolutely no people or sounds. Even the dogs were silent. Since the detour was off the regular path, there were few pilgrims. There was simply a feeling of stillness. Yes, here were some flowers outside a door, there was a car. The windows and doors were all shut tight. 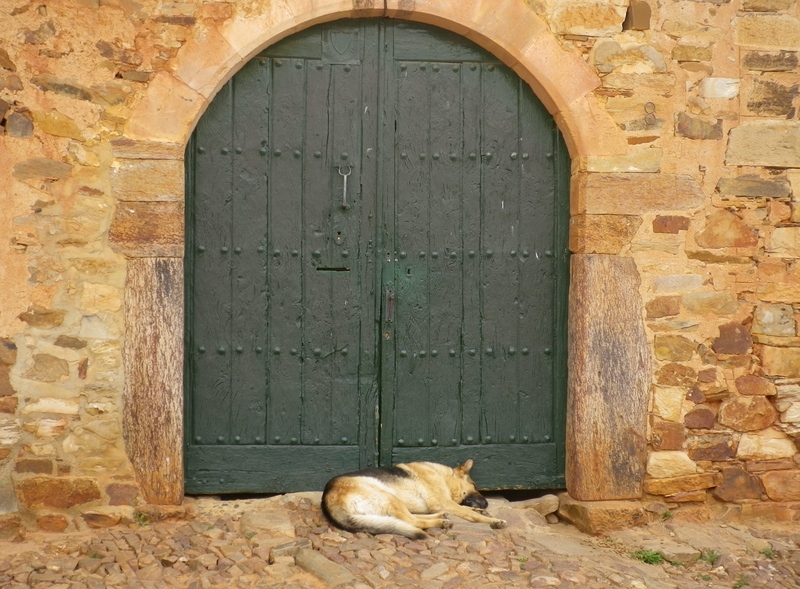 Perhaps life was going along behind the grayish brown stone walls and iron gates. But I felt suspended while walking through town, like a swimmer floating on her back. The next town actually had crumbling walls and houses. According to one estimate, it had a population of 50. The Army was running an orienteering exercise and small groups of young soldiers found their way from the brush to the meadows to the road to the one bar in town, the only landmark, Glad to find their fellow soldiers, they enjoyed the end of their trek and waited for their vehicles. The few pilgrims also there, having a beer and bathroom break, would continue. Eventually I arrived in Rabanal after a short hike uphill in mud and scree. This town houses a monastery where an order of monks from Bavaria are working to restore the Church and revitalize the town. They have a retreat house which welcomes pilgrims to stay for a minimum two days. I met up with Dave and Rena, the newlyweds from my first day on the Camino and whom I’d been meeting on and off throughout my journey. They had decided to spend time at the retreat house and were staying for two more days. Dave was one of the readers during the Pilgrim Mass that evening. 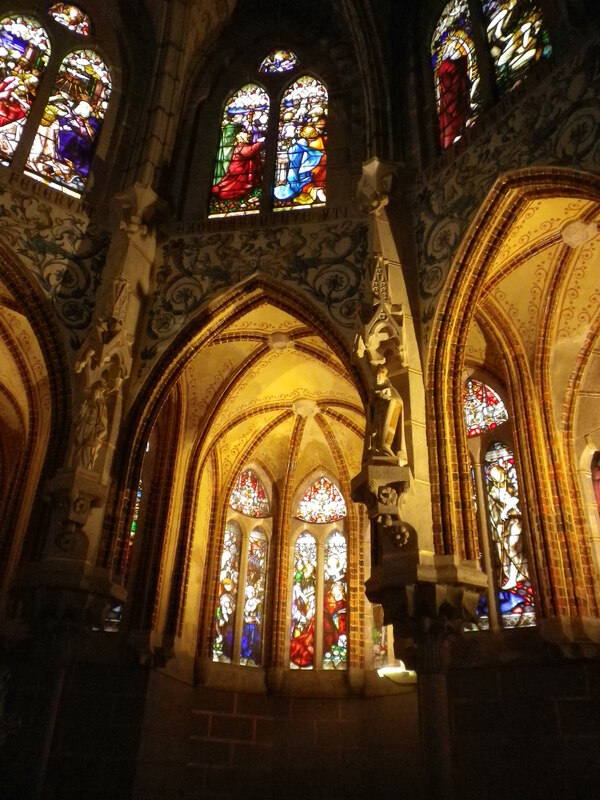 The monks sang Gregorian Chant. The homily was in English for the benefit of most of the foreigners who were (always) present, and the tiny space was packed with pilgrims, many of them college age students traveling with school. I thought of the people I had run into that day. I thought about how close I was getting to Santiago. I thought about my family and my Camino family. Who have I lost? Who will I meet? Who will I meet again? 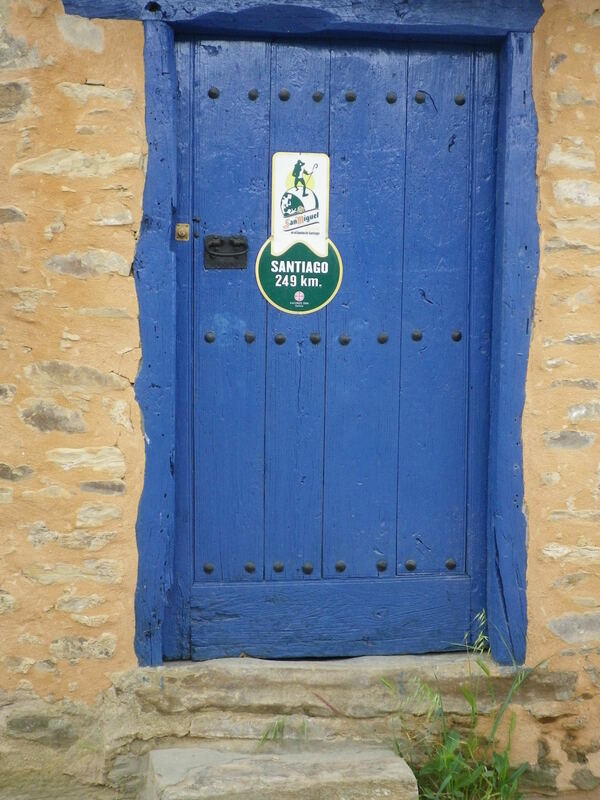 This entry was posted in camino de santiago de campostella, Spain, Travel and tagged Camino de Santiago de Campostella, Spain, Travel. Bookmark the permalink. Did you stay at Refugio Guacelmo? I worked there as a volunteer for this 2 week period in 2013 – hope you enjoyed your stay there. The services in that beautiful, austere church are very moving.